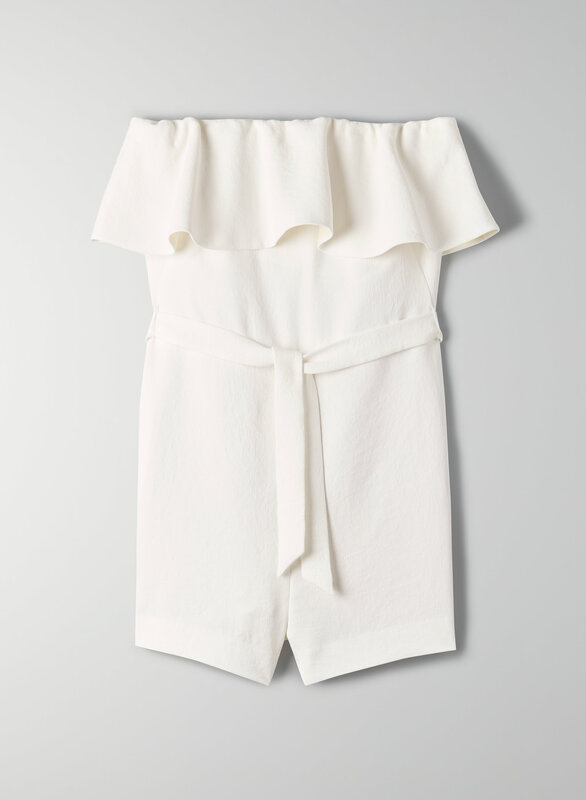 This is the romper version of the Altamiro jumpsuit, a Babaton fave. It's a strapless romper with a flounced neckline, darted bodice and self-tie detail at the waist. It's made with a structured basket weave fabric from Japan.